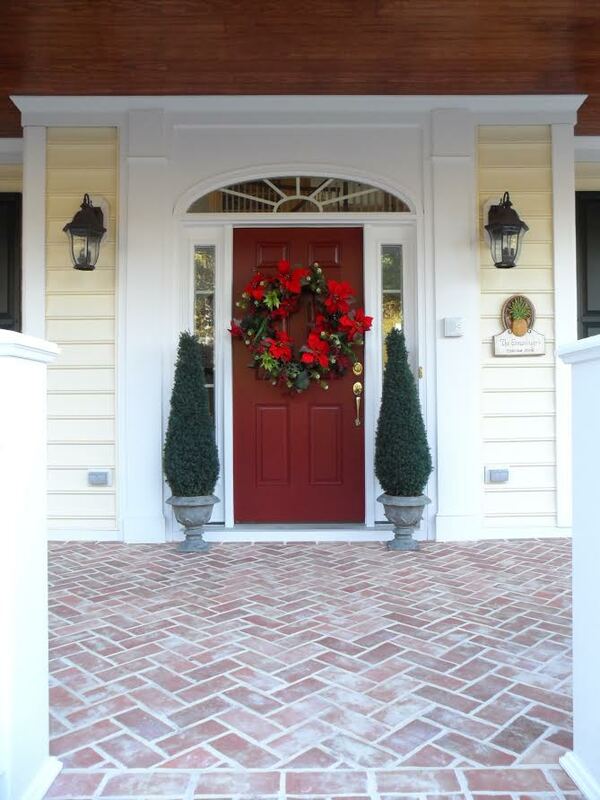 Be sure to watch the slideshow when you scroll down on this page. If you want to see an image longer, just click between the arrows, and it will pause. 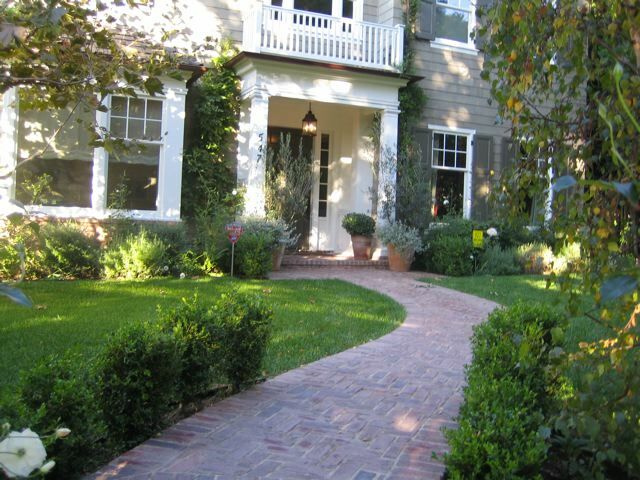 This terrace is our Rutherford (standard Old Strasburg color mix) brick tiles, installed by Covenant Contracting. 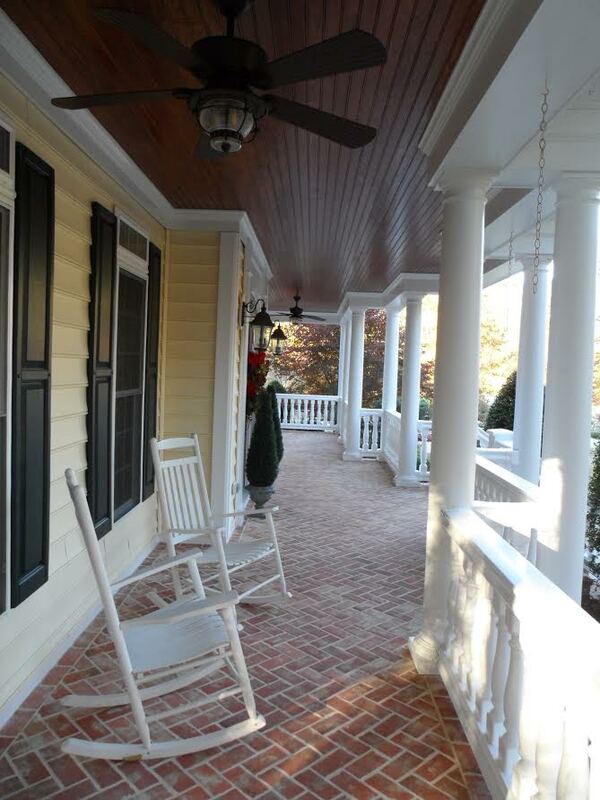 The above two pictures are Karie Ermatinger's front porch. 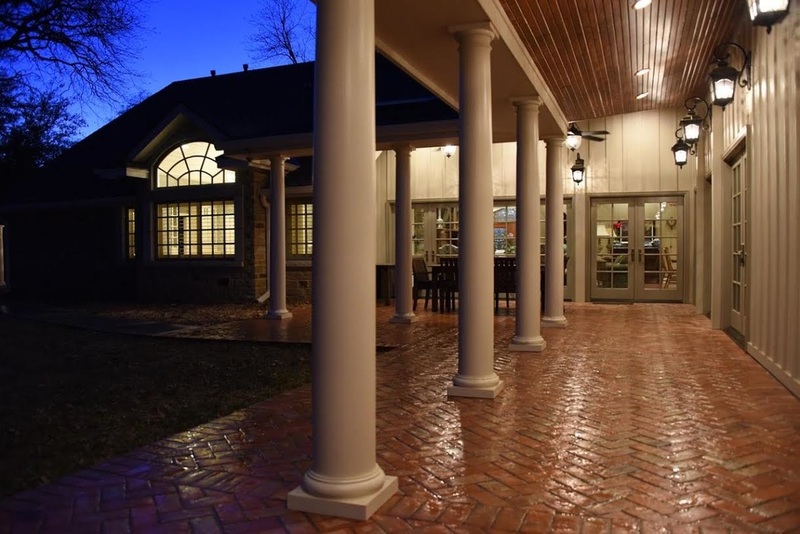 She covered a concrete porch with brick tiles for a whole new look. 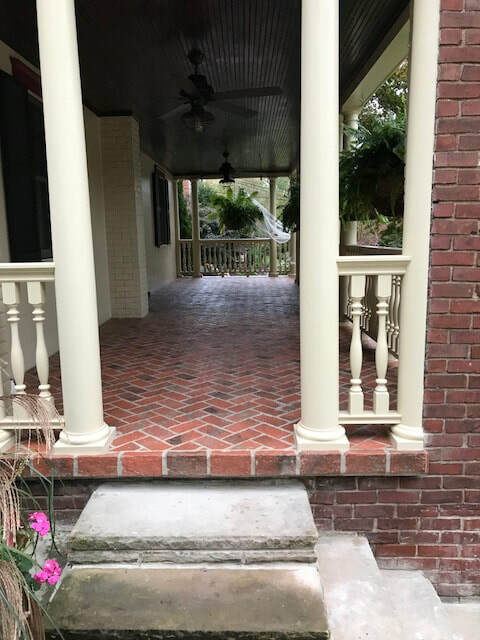 Mike Sramac gave his front porch new life with our brick tiles! The corner returns finish off the edge. 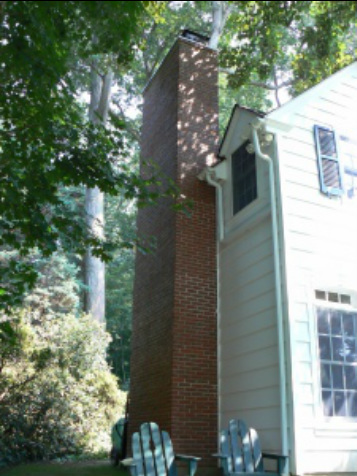 The picture below is a chimney completely covered in our brick tiles. The corner return tiles were used on all four sides. 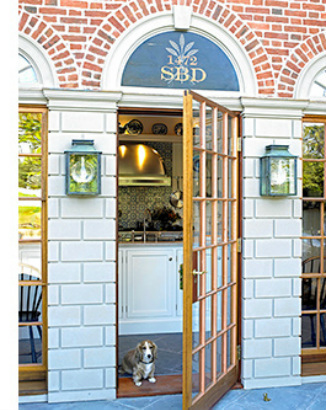 Thank you to Sarah Blank, of Sarah Blank Designs, for these pictures of your showroom in Darien, CT! 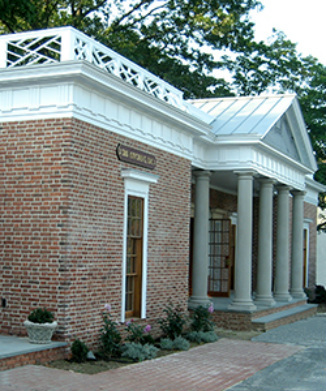 We covered the outside of her design studio building to resemble Monticello! This is so beautiful, and we are proud to have been part of this project.